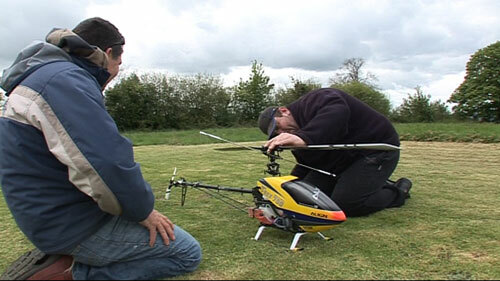 Phoenix Model Aviation Ltd offer build, repair and setup services, so no matter if you want a complete model built from scratch, an existing model professionally set up or repaired following a crash, or even just need some regular maintenance, we can help. We offer three methods of complete builds - accompanied, unaccompanied and supervised self build. Whilst we offer a competitive range of kits, we will build kits we haven't supplied provided they are complete! We will take your model, transmitter and any other necessary accessories into our workshop where we will carry out any work required to restore it to its former glory. All work of this nature is charged by the hour, excluding any additional parts used. Please see our price list for further details. If you have a scale model un-built or part built that needs finishing, have a special application for a model helicopter or have any other specialist requirements, we can help. As no two scale or specialist projects are the same, please contact us for a personal quote specific to your requirements. We supply models, radio gear, spares and accessories from all the major manufacturers. We are able to guide you through the selection of the right model and equipment for you, depending on your specific needs, from the wide variety of equipment available on the market today.